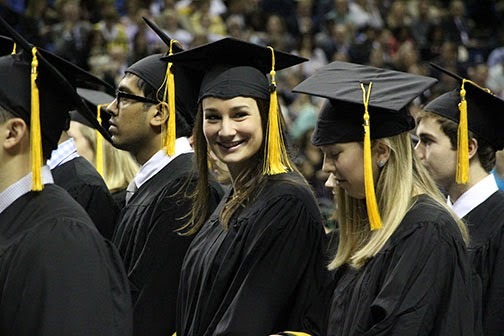 With family and friends watching from the audience, members of the Class of 2014 officially received their degrees during Commencement ceremonies May 17 at Kemper Arena in Kansas City, Mo. 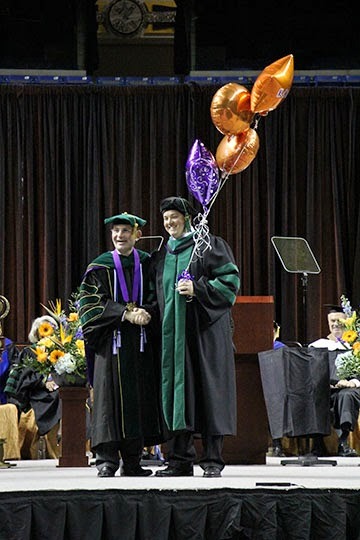 The ceremony also marked a significant milestone for KCUMB as the University conferred the doctor of osteopathic medicine degree on our 10,000th graduate of the College of Osteopathic Medicine. I was pleased to recognize Rex Farrer, Jr., as the 10,000th graduate at the ceremony. He was also recognized with a plaque during a special graduation breakfast. During the ceremony, KCUMB conferred an honorary doctor of human letters degree on Terry Dunn, our former chairman of the Board of Trustees and chief executive officer of J.E. Dunn Construction. The honorary degree is our highest tribute and is awarded to an individual for his or her contributions to the betterment of all humanity. Barbara Ross-Lee, D.O., vice president of health sciences and medical affairs at the New York Institute of Technology, delivered the keynote address. Dr. Ross-Lee is a trailblazer for her achievements in medicine, health policy and education. She overcame many obstacles not only in her journey to become an osteopathic physician, but also to become the first female African-American dean of a U.S. medical school in 1993. Dr. Ross-Lee encouraged graduates to recognize that becoming a physician is not just a career choice, but a part of who they now are. "It is a high calling with awesome responsibilities, but it’s also something else," she said. "From this day forward, those of you who are receiving your D.O. degree today will need to understand that being a physician is now an immutable part of who you are and who you will always be. It’s very much like your race, ethnicity or gender. It will be how you think of yourself and how others will think of you. Because, being a physician not only describes what you will do, but who you are. No other profession is so honored." 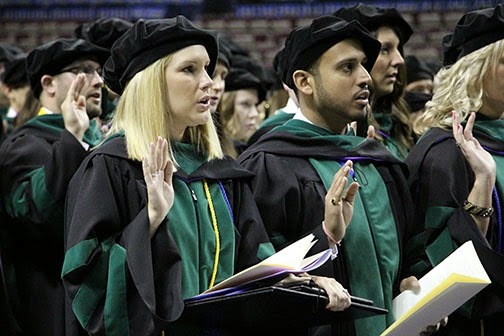 The joint ceremony marked the first time that the College of Osteopathic Medicine and College of Biosciences have conferred degrees on graduates together. View the Commencement photo gallery.